When your soul tells you that it is time for you to change, to let go of limiting beliefs and move your life forward in a new direction, some of those around you may not be as supportive as you had hoped. They may even attempt to hold you back. Caught up in their fear of losing you, of things changing for them as a result of your personal evolution, they may (consciously or unconsciously) try their hardest to keep you locked into the old ways. They have a vested interest in maintaining those familiar roles, familiar patterns, familiar perceptions – it makes them feel safe. 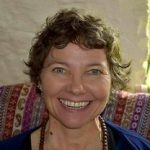 Your transformation challenges their own view of the world, and to mbrace or support that would mean stepping out of their comfort zone. It would mean feeling vulnerable, having to perhaps face their own inner demons and make changes. For some, that is too much to bear. It is easier, safer to keep things the same way, to prevent you from upsetting the status quo by moving forward. And so, they may sabotage your progress in some way. So often it is the ones we love, the ones whose support we value the most, who are the ones that attempt to clip our wings. 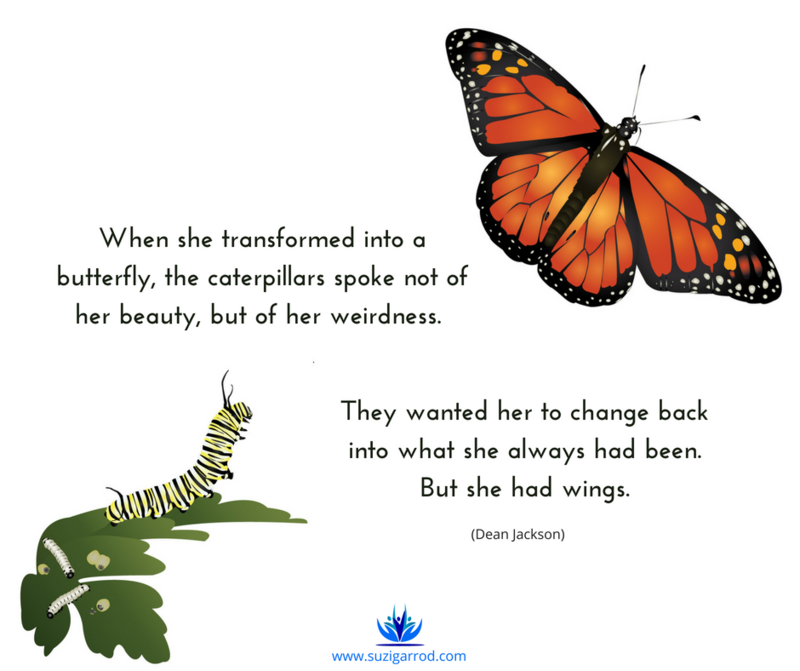 They encourage us to remain in our caterpillar state, rather than metamorphose into the beautiful butterflies we all have the potential to become. It is their fear, not their love, that causes them to act like this and hold you ever more tightly with their cords of attachment. What drives their behaviour is a fear of change, a fear of being left behind, a fear of your evolving strength and potential; perhaps also a fear of their own potential growth and the transformation that will bring. They may feel threatened on some level by your increasing self-awareness and growing sense of purpose. Whereas once you may have turned to them for guidance, you now seek your own answers from within, and reach your own conclusions as to what you want your future to look like. They feel left out, not needed, unvalued, and may try to make you feel guilty for wanting to change. These are their fears, their limiting beliefs, their wounds – not yours. I encourage you to break free. Gather every ounce of strength and love of self to burst through the walls of the chrysalis that can no longer restrain your true potential. Spread your glorious butterfly wings and fly to new horizons. Dissolve the fear others may project upon you and transmute it into love. You owe it to yourself to become all that you can be, and owe nothing to those who would crush your dreams in order to avoid having to face their own truth. Despite what they may say, your strength, courage and commitment to follow your heart and embrace who you truly are, will not diminish them in any way. On the contrary, your transformation will present them with an opportunity to dissolve their own fears and unlock their own potential. They may always wish to remain caterpillars, content with the world they inhabit with no desire to change at all. That is OK. That is their choice. They have no right, however, to prevent you from choosing a different path. By trusting your heart and making the changes it is telling you to make, you will show others that they too can change. That is how we make the world a happier place, a better, more loving and enlightened place in which to live. A world in which we accept our differences and encourage each other to fulfil our potential so that we can all become butterflies in our own way, instead of clinging fearfully onto the branches of familiarity. Spread your wings and fly in the direction of your dreams, because that is what you were born to do.